“I had a visit from an agent for a gas company yesterday, and they were very persuasive about why I should change to their company. They said that everyone else in the estate had seen what a great deal they were offering and signed up as well, and that they would only be able to offer me the fixed price discount for 24 hours, so I couldn’t think about it, I had to sign up then. Since the gas and electricity markets were opened up around ten years ago, there has been a great deal of competition between suppliers. This sometimes leads to high pressured and even misleading doorstep sales, and so it’s worth knowing your rights before you even open the door to them. Doorstep selling is classed as buying a service or goods (including a gas or electricity supply) from somebody face-to-face but not at their trade premises, and can also cover sales made at your workplace or on the street. When you buy something, or sign up to an agreement of any kind as a result of a doorstep sale, you have a right to a seven-day 'cooling off' period, as long as the goods or services you’ve bought are worth more than £35. You now have seven days to change your mind and cancel your gas contract, and you don’t have to pay anything, including any cancellation fee or deposit. The gas salesman should have told you this at the time, and given you a notice in writing of your legal rights. If he didn’t, he is breaking the rules and this also means that you have further rights to cancel after seven days – but it’s better done sooner rather than later. Call the company and follow this up in writing. Send it recorded delivery just to make sure that the letter is received, and keep a copy. 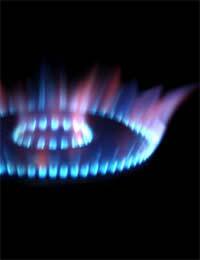 What Standards Do Gas and Electricity Sellers Have to Abide By? There are fixed times outside which agents should not call on you – and these are 9.00am and 8.00pm. The only exception to the rule is if you have specifically invited them to call at another time. Sales people should not visit residents of sheltered accommodation without asking the warden’s permission. Agents have to ensure that you understand the contract, and are told about your cancellation rights, before you sign anything. They must give you a copy of the contract. If the sales agent doesn't follow the guidelines, you may be entitled to compensation. You could also consider making a complaint to the AES about the fact that in this case your rights were not explained to you, which although it won’t help you, may at least make the company aware that its sales force are not following the rules.